All living organisms are made from cells. Indeed the cellular nature of life is one of the universal features shared by all life on earth. Some organisms are made from just one cell (unicellular organisms) while at some point around 1 billion years ago, cells starting clumping together and specialising to form multicellular organisms such as animals and plants. What do all cells have in common? All cells are surrounded by a cell membrane. The cell membrane is made from a mixture of proteins and a type of lipid called a phospholipid. The cell membrane serves many functions but perhaps the most significant is acting as a partially permeable barrier that can control which molecules can enter and leave the cell. 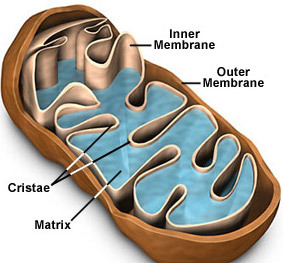 Inside the cell membrane there is a watery solution of chemicals called the cytoplasm. The cytoplasm is the site of many metabolic reactions in the cell because many enzymes are dissolved in the cytoplasm. The cytoplasm also contains many tiny nano machines for assembling proteins called ribosomes. And that is about it for things all cells have in common. 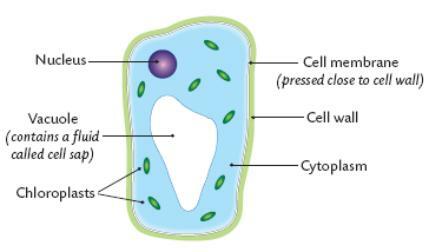 Prokaryote cells (bacteria) have a very different cell structure with no organelles but in this section you need to understand the simplified structure of two eukaryote cells: a typical animal (on the left below) and a typical plant cell (on the right). Both animal and plant cells have a nucleus. This is the largest organelle and contains the DNA which is the genetic material. The DNA is found in long thread-like structures called chromosomes. 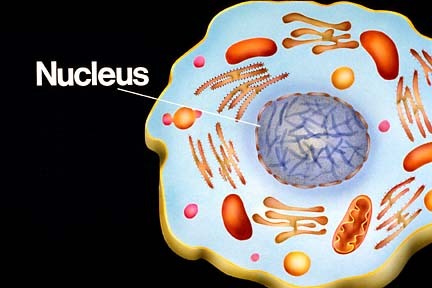 The nucleus controls the division of the cell and also the various functions of the cell by regulating which proteins get made. Animal and Plant cells both contain mitochondria which are the organelles associated with aerobic respiration. Mitochondria are recognisable in the cytoplasm of the cell as sausage-shaped organelles with a folded inner membrane (see diagram above). 1) All plant cells have a thick rigid cell wall made of the carbohydrate cellulose. The cell wall allows plant cells to become turgid since when the cell takes in water by osmosis, the rigid cell wall prevents the cell from bursting. The cell wall also acts as a transport pathway across plant tissues and can provide a barrier to some pathogens. 2) All plant cells have a large permanent central sap vacuole. This organelle is bounded by a membrane called the tonoplast and in many plant cells takes up the majority of the volume of the cell. The sap vacuole provides a compartment in the cell into which excretory molecules can be moved to stop them poisoning the cytoplasm. It also plays a role in the water balance of plant cells since because of all the solute dissolved in it, the cell sap has a low water potential. This helps draw in water by osmosis from the cytoplasm and hence from outside the cell across the cell membrane. 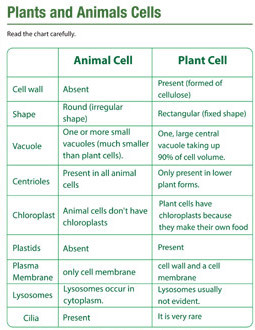 3) Many but not all plant cells contain chloroplasts. These are organelles associated with the process of photosynthesis. 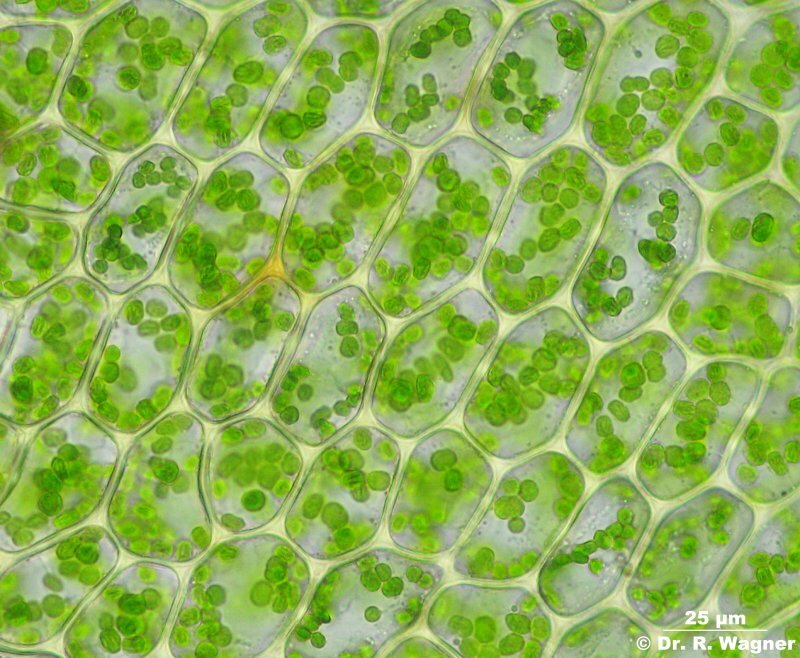 Chloroplasts can be recognised in a light microscope image as small, green structures in the cell. The green pigment comes from the chlorophyll molecules that trap energy from sunlight. In an electron micrograph, chloroplasts are distinguished due to their stacks of membrane discs called grana.